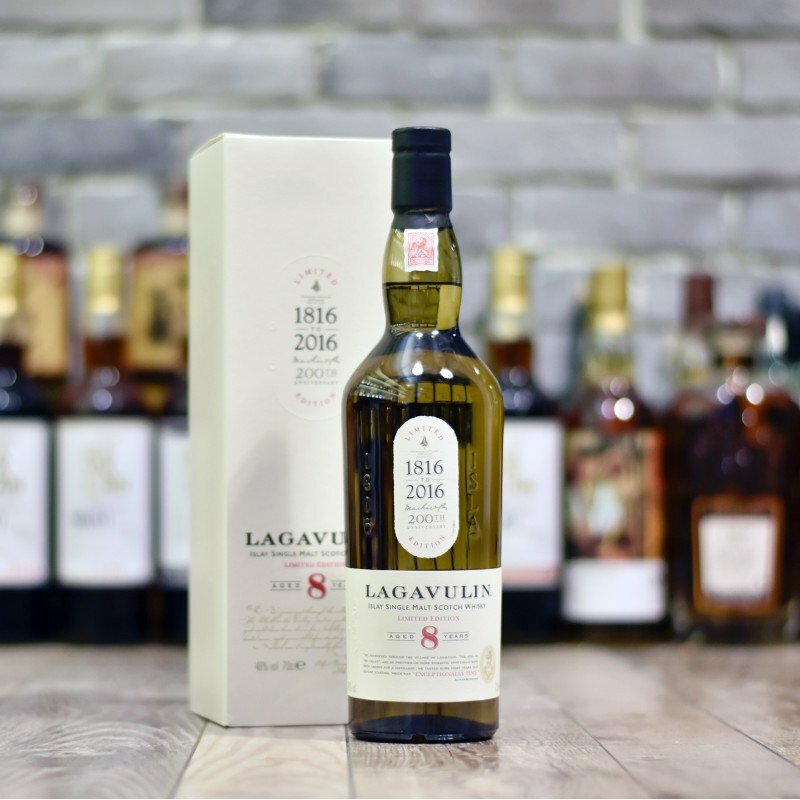 Lagavulin celebrated its 200th Anniversary by releasing this limited-edition 8 Year Old. As for why they chose an expression at this age, it all boils down to an Englishman named Alfred Barnard. This Victorian-era whisky writer and historian, during a journey around Scotland in the late 1880s, tasted an 8yr Old Lagavulin and deemed it to be “held in high repute” and “exceptionally fine.” Nosing instantly reveals a nose of precise aromas of hay, marzipan, seaweed, diesel oil, printers ink, grist, beautiful smoke, and a very subtle blueberry note. On the palate its attention to detail and purity continues, at the forefront a well defined ash, soot, smokey, cracked white pepper element gives way to a well rounded and biscuity sweetness almost dryer style of salted fresh walnuts. The finish is long and most definitely moreish revealing at the very last second a flash of fresh orange juice. Purity and precision that’s perfectly balanced, Islay Style!